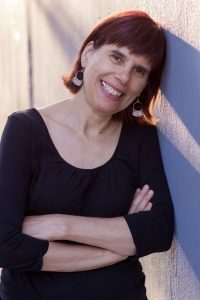 Cathy Camper is the author of Lowriders in Space, Lowriders to the Center of the Earth and Lowriders Blast from the Past, with a fourth volume in the works, all from Chronicle Books. She has a forthcoming picture book, Ten Ways to Hear Snow (Dial/Penguin), and also wrote Bugs Before Time: Prehistoric Insects and Their Relatives (Simon & Schuster). Her zines include Sugar Needle and The Lou Reeder, and she’s a founding member of the Portland Women of Color zine collective. A graduate of VONA/Voices writing workshops for people of color in Berkeley, California, Cathy works as a librarian in Portland, Oregon, where she does outreach to schools and kids in grades K-12. Cathy is represented by Jennifer Laughran of Andrea Brown Literary Agency. Contact me to schedule a speaking engagement or presentation.